Rediculus is starting out 2014 full steam ahead with the release of his new instrumental series Memories Over Music. 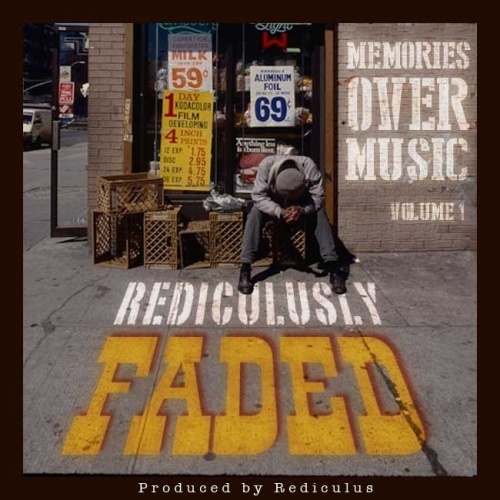 First up, Rediculusly Faded is a scorcher of an album with 13 instrumental tracks and one song – Something to Say feat. KGB staple Rich Malone, alongside first time collaborators Dox Boogie and Thom Seever. In memory of his mother who was a teacher, Rediculus is donating 50% of the proceeds from the entire Memories Over Music series to help fund ElevArte. Elevarte (formerly Pros Arts Studio) is a community-based organization which uses the arts as a means for youth development. A dedicated cadre of teaching artists and youth inspire and support each other as art makers and active citizens. We create youth-activated safe spaces through three core programs: In- School Residencies, Out-of-School-Time Programs, and Community Celebrations. The homies over at Glasshouse Productions have dropped something super ill this week called IN HOUSE. IN HOUSE is a weekly hip hop web series from Rose Glen Entertainment and GlassHouse Productions featuring a different MC every week rocking over a Jon Glass beat at Rose Glen HQ.